The Kensington Palace Christmas tree is up, and it looks magical. Meghan, Harry, Kate and Will have unveiled their Christmas tree, and it's undeniably extra. For many families, the act of erecting the Christmas tree usually involves a bit of heavy lifting, a frustrating battle with tangled fairy lights, and an end product that looks like it was put together by a drunk person (mainly because your mum insists on including the dodgy ornaments you made when you were six). Well for the royal family, putting up the Christmas tree looks very different. For one – their tree of choice probably wouldn’t fit in most people’s houses. It’s just, you know, 30-foot tall. 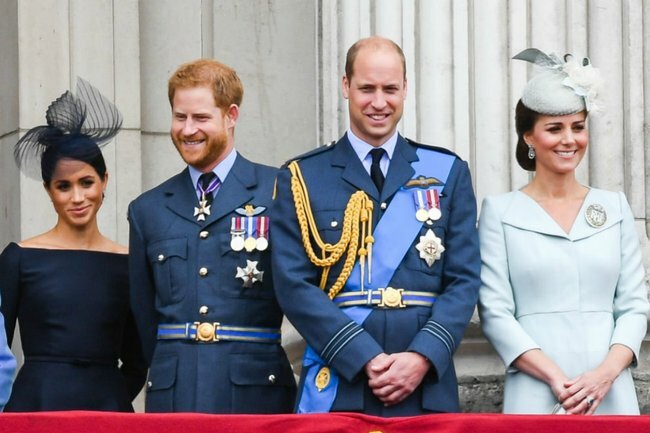 On Friday, the Historical Royal Palaces, a charity that helps maintain Kensington Palace, posted a video to Twitter of the Christmas tree being decorated in front of Kensington Palace, which is where Kate Middleton, Prince William, and (for now) Meghan Markle and Prince Harry live. 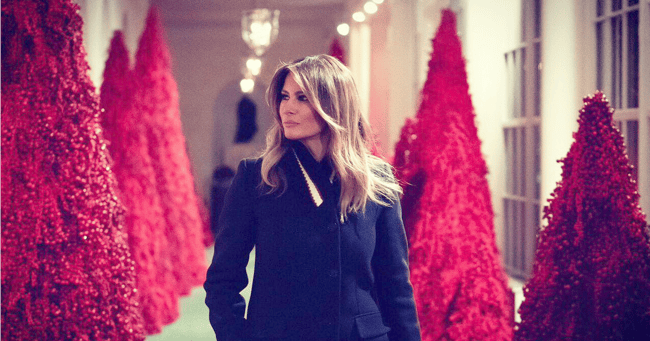 In the clip, decorators are seen attaching baubles and lights to the tree’s branches via cranes, creating a sparkling and oh-so-festive display that makes the blood red trees of the White House look all the more eerie (which we didn’t even think was possible). Not sure if Christmas decorations or a scene in a horror film. This Christmas will be Harry and Meghan’s first (and last) spent at Kensington Palace as a married couple. While Meghan did spend Christmas with the royal family last year, in 2019, she, Prince Harry and their baby due in April are set to move to Frogmore Cottage in Windsor amid a swirl of salacious feud rumours between Meghan and Kate (or is it Will and Harry now? We can&apos;t keep up). The rumours have only been fuelled by reports that Prince William and Kate will be spending Christmas with the Middleton family at Bucklebury Manor in Berkshire. Prince Harry and Meghan, meanwhile, will reportedly spend Christmas at Sandringham with the Queen and other family members. It couldn&apos;t just be, you know, a simple case of alternating Christmases between families. That would be a boring headline. Feud rumours aside, we bet Christmases with the Queen absolutely go off.